Summer is nearly upon us, and whilst our thoughts often turn to holidays, days out and BBQ’s the change in season can present a few hazards to our furry friends, so it’s important to be vigilant. One of the most common poisonings reported to the Pet Poison Helpline is rodenticides (rodent poisons). These are sold as pellets, grains or solid cubes and contain a variety of different poisons. The most common rodent poison works by stopping the blood from clotting and can cause internal bleeding and others cause neurological damage and kidney failure. It’s often hard to spot if your pet has ingested anything like this as symptoms don’t tend to appear for a few days. At this point your pet might be lethargic, unable to tolerate exercise, coughing, and have pale gums and some difficulty breathing. Fortunately, there is an antidote to the poison that stops blood clotting, and that’s Vitamin K.
Most pets who have swallowed rodent poison will need to be treated with prescription vitamin K for around 4 weeks, with this treatment period ending with a blood test to check their blood is clotting correctly. If you think your pet might have been exposed to a rodenticide, you MUST contact us and bring your pet in for treatment immediately bringing any packaging or product with you so we can correctly identify the poison and therefore most effective treatment. As well as treating them with Vitamin K if deemed appropriate, we might make them sick to get the rest of it out depending on when they consumed the poison, and treat them with active charcoal to mop up any of the toxins floating around in the intestines before it gets absorbed. If you’re a keen gardener it’s possible that you’ll at some point have some fertilizer in your shed and applied to your garden. These fertilisers can contain iron, pesticides, herbicides and bone meal, all of which are poisonous to pets. Whilst the most damage is caused by ingesting a large amount of fertilizer (generally out of the packaging), any consumption can result in drooling, vomiting and diarrhoea. If the fertiliser has bonemeal in, then this can cause more serious symptoms such as an inflamed pancreas. This is a type of insecticide made from six different chemicals. It is derived from chrysanthemums and is used to control mosquitoes, fleas, flies, moths, ants, and used for controlling fleas and ticks in dogs. It can be highly poisonous to cats if accidentally applied or ingested. We see this type of poisoning most often when it has been inappropriately applied to cats – either because people have assumed they just need to use a bit less than they would for a dog, or have picked up the wrong product to use on that particular animal. Some cats have also poisoned themselves by grooming a dog who has just had the product applied, but this is less common. Symptoms of pyrethrin poisoning include shaking, dribbling, vomiting, uncharacteristic excitement, pacing, breathing issues and fits. At high doses and left untreated, it can, unfortunately, prove fatal. If you have both cats and dogs, be sure to store their treatments separately, but do speak to us about alternative products that are safe to have around cats. If you’re a member of our Healthy Pet Club, we can make sure you always have the most appropriate treatment for your household all year round, and you’ll save money. Click here to find out more or call us on 01980 621 999. At this time of year we often reach for the slug pellets to prevent our gardens being munched to the ground, but as pet owners, we need to be aware of the stuff we’re putting down. Dogs have a really strong sense of smell and will sniff our pellets and not know that they might be poisonous. Even if they don’t eat them there and then, it’s a good idea to wash off their paws if you think they’ve been wandering in a treated area just in case any are groomed from between their toes. 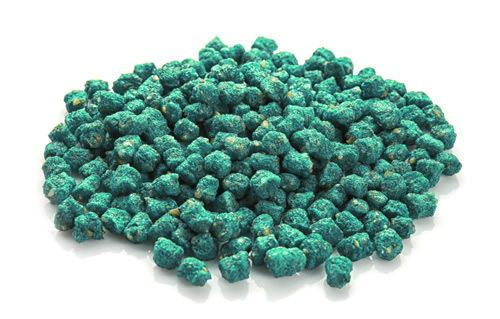 Pellets that contain a substance called Metaldehyde are the most dangerous and most common poisonings we see in dogs. Even eating a small number of pellets can cause serious poisoning and symptoms are likely to become obvious within an hour of the pellets being eaten. If you think your dog might have been exposed to pellets then you MUST bring them into us a soon as possible as it gives us the best chance to help them, ideally bringing the packaging for the pellets with you so we can see what they’ve eaten. Symptoms are similar to other poisonings and include a wobbly gait, muscle twitches, and fits. Treatment varies but may include sedation, anti-convulsive drugs and life support whilst they recover. 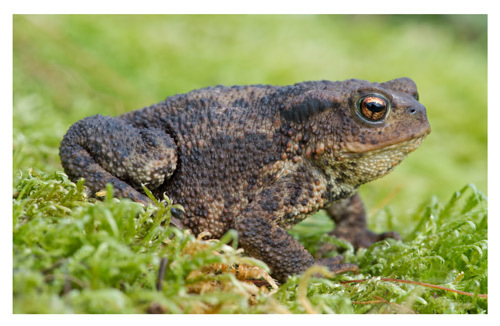 We have two types of toad that are native to this country – Common (most widespread) and Natterjack (a protected species that’s generally only found in East Anglia and the North West of England, although there are breeding grounds elsewhere). Toads are most active between April to July whilst they’re spawning. As they’re nocturnal reptiles, the times to be most wary are dawn and dusk. The majority of toad-related poisonings are when a cat or dog has licked one or tried to catch it. The signs to look out for are dribbling, foaming at the mouth, vomiting, unsteady and uncoordinated movements, shaking, a temperature and sometimes collapse. If its possible, try to rinse your pet’s mouth out and bring them in to see us as soon as you’re able. Adders are the only poisonous snakes found in this country. Other non-threatening snakes you might spot are water/grass snakes, slow worms (actually a lizard with no legs) and smooth snakes. 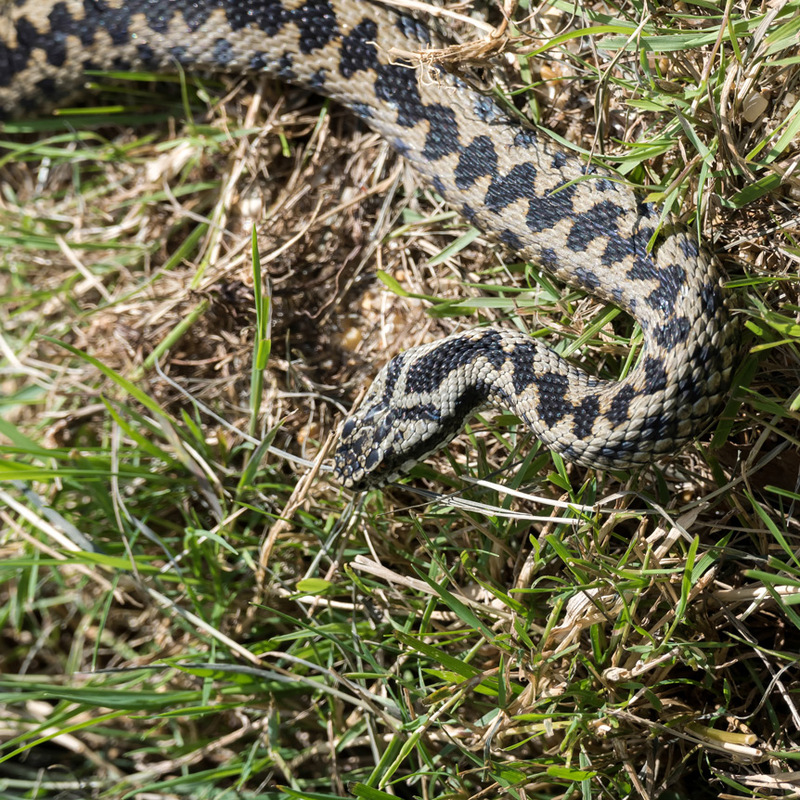 Each has different markings and an Adder can be identified by brown zigzags along its length and a V marking on its head. 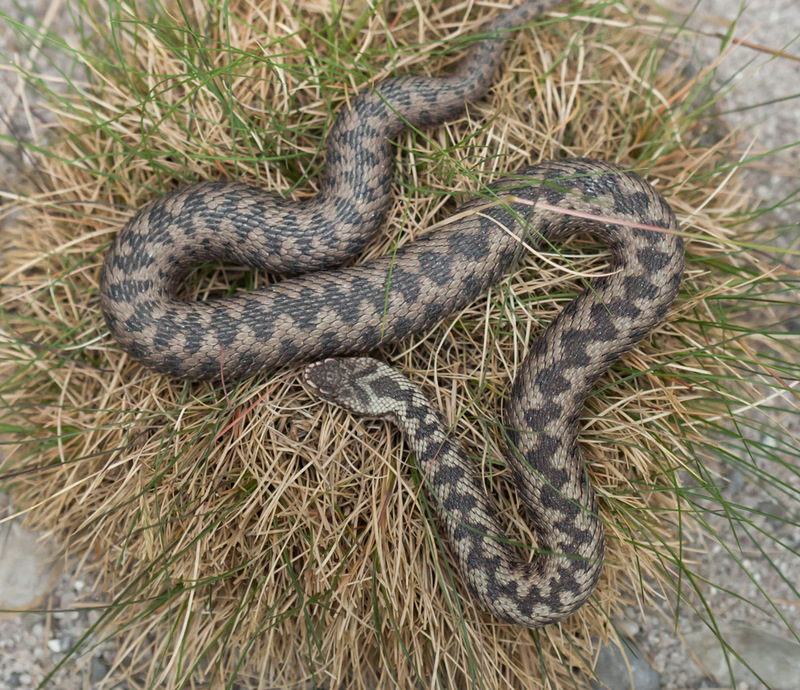 Adders live in dry, sandy areas such as sand dunes, stony sparse hillsides, and the edge of woodlands. They don’t prey on our pets but will bite if disturbed or provoked. They hibernate in the winter, so are only a problem in the Spring and Summer. If your pet has been bitten the immediate area will swell, and this will spread and can become quite severe. They might also have pale gums, an upset stomach, be dehydrated, and have behavioural changes such as restlessness or extreme tiredness. Eventually, this can result in blood clotting issues and collapse so it is important to seek help as soon as you can. As the pollen count rises, hayfever sufferers stock up on anti-histamines. Your pet would need to eat quite a few of these to be affected, but ingestion of large amounts can result in a wide range of symptoms including an upset stomach, tiredness, unsteady walk, hyperactivity, changes to their breathing and shaking within 4 to 7 hours of ingestion. Long walks and luscious vegetation add up to more exposure to ticks. These unpleasant parasites bury their heads in our pet’s skin for a blood meal. Ticks can cause infection and, in some cases, can spread Lyme disease which is a bacterial disease spread by infected ticks. They’re hard to spot before they feed as they can be as small as a pinhead, they are tricky to remove safely. As its impossible to see tick’s in their environment, the best approach is to use a product that kills and preferably repels ticks as soon as possible. We recommend Seresto collars that give up to 8 months of protection, so are a great way to safely get through the summer. These are odourless, unobtrusive and are available for both dogs and cats. Areas, where ticks are most commonly found, are generally damp and warm environments such as wood and grasslands, but they are very adaptable and can survive in any number of different areas as long as they are close to hosts such as farm animals, rodents, wildlife including birds, deer, and dogs. Make sure you check your pet for ticks every day paying particular attention to areas close to the ground, including between paw pads. If you do find a tick, remove it using a special tick removing tool as this will ensure the head comes away with the body and not stay in causing long-term problems. Do NOT believe any folk tales about burning them off with matches or covering them in Vaseline as this will just distress them and make them regurgitate their dinner and any disease they are carrying back into their host. During warmer weather, your pet is likely to moult to get rid of excessive hair so they can stay cool. Cats will lick this out and fur balls will then be vomited up – and always on the rug, not the hard flooring! Dogs can become matted and this won’t help keep the cool. Until temperatures drop in the Autumn, try to brush your pet once a day to get rid of any excess fur. 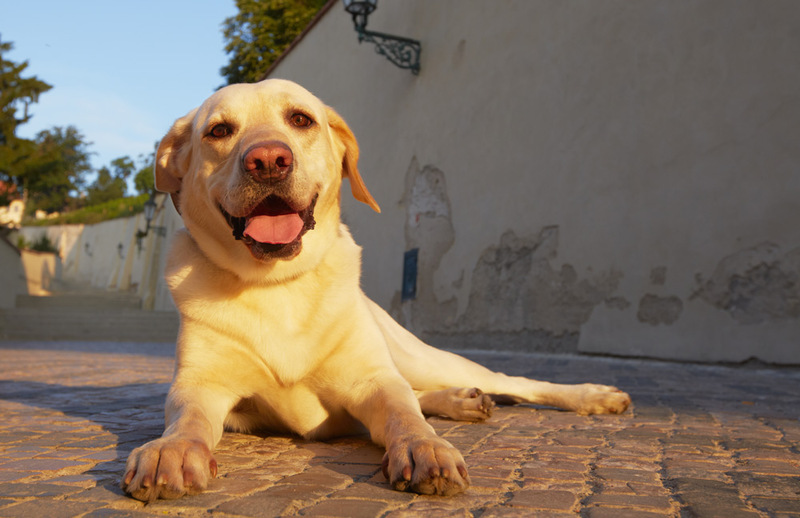 It might seem tempting to give them a close cut – especially dogs – but their coat gives them some protection against the sun so do avoid this temptation. It’s great (and let’s face it – a novelty in the UK) to have weather nice enough to allow cooking outside. 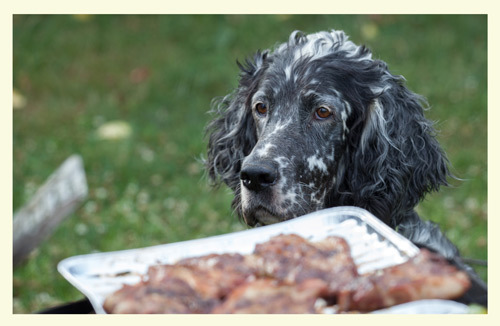 Summer is the season of BBQ’s at home, with friends, at fetes, on the beach and whilst camping, and our furry family members are often their too, patiently waiting for a meaty treat. A BBQ smells delicious to us, and dog’s sense of smell is significantly more powerful than ours, so they will be finding the smell very appealing! They don’t know that it’s a hot area and will just be focusing on the meat, so do make sure they aren’t left to jump up to grab food from the BBQ as this can cause significant and debilitating burns. Don’t forget that BBQ’s remain hot and smelly for a long time after the food has been cooked and eaten – particularly charcoal BBQ’s. These are difficult for dogs to digest and can also cause a choking hazard as well as an intestinal blockage. These are not good for dogs, especially chicken bones found in legs and wings as these can splinter and get stuck in their digestive tract and pierce bowels. these can have a similar impact to bones and can puncture intestines and get stuck in throats when wolfed down with the delicious chicken chunks stuck on them. Dogs have quite sensitive stomachs, and these can be quite upset by rich foods such as ice cream. Just like humans, dogs (and cats) can also be lactose intolerant. It’s possible to get doggy ice-cream, so if you really want to indulge your pooch, look out for it. Our pets can’t have an icy drink or turn on the air conditioning – and they’re generally wearing a fur coat! – so getting hot and dehydrated can be very real problems in hot weather. Your pets should always have fresh water available whatever the season, but on warmer days you should carry portable water bowls with you when you go out. Animals that are particularly prone to heat issues are brachycephalic breeds (short noses such as pugs, bulldogs and some terriers), those who have thick coats and overweight pets. You need to be watchful for an unusual amount of tiredness, less urination, a dry mouth, and loss of appetite. If you discover your dog panting, don’t worry. This is how they cool themselves down. If the weather gets extreme, another way you can help your dog cool down is through using fans, taking them swimming if you have any rivers, lakes or the sea near you, offering them ice cubes, and playing with hoses and in paddling pools. even if you are just popping in somewhere. Even with a window open, a car can quickly become unbearably hot for a dog and they can feel very unwell very quickly. Buzzing insects can result in a curious pet investigating the noise and chasing the insect around, and this often results in a sting. 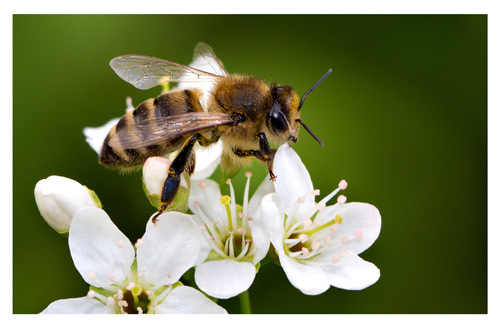 Whilst rarely serious, if you think your pet has been stung keep an eye on how your pet reacts, paying particular attention to any stings around the face and neck in case swelling starts to make life difficult for them to see, eat or breath. On really hot days the ground can get really hot, and we just don’t notice with shoes on. Things like sand and pavements can get very hot (and tarmac gets very sticky) and prolonged exposure can make your dogs paws sore. If you would find it uncomfortable, then your dog probably will too after a while, so try and limit their time on it or pick softer grass areas to walk in or go at a cooler time of day.